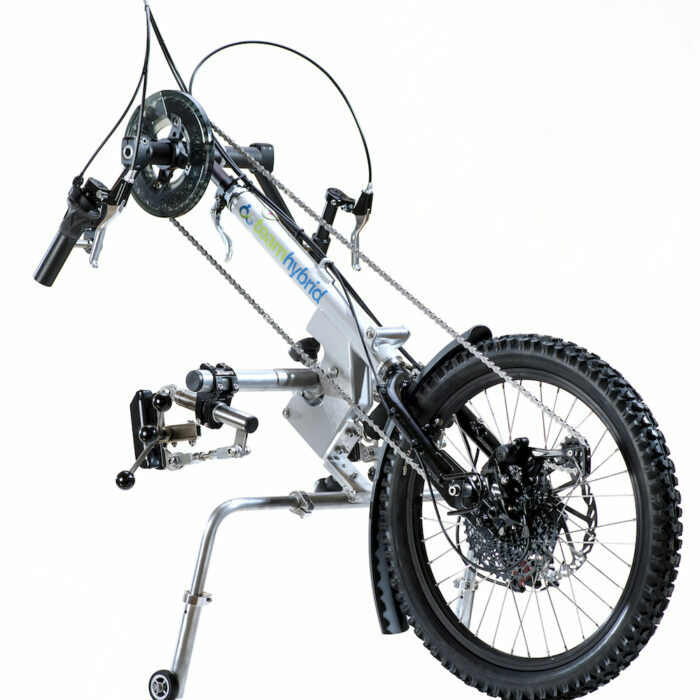 Coyote S7 Add On is a fantastic entry-level handcycle attachment. A simplified 1×7 drive and wide-range 11-32T freewheel provide a very useable gear range whilst at the same time making it lighter and easier to maintain. The Coyote S7 is usually available from stock. 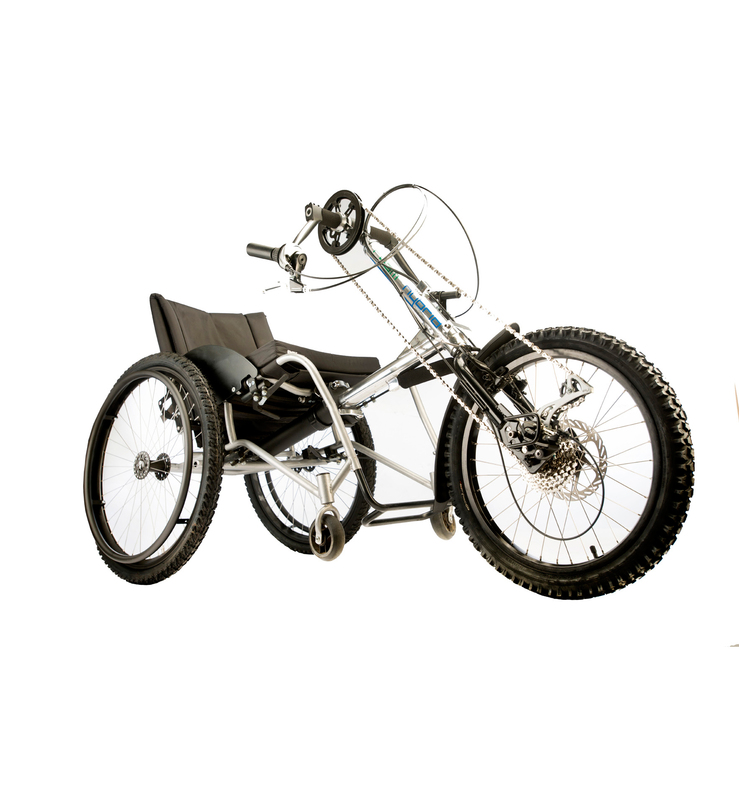 Add On Manual Handcycle – Transform your wheelchair in seconds. 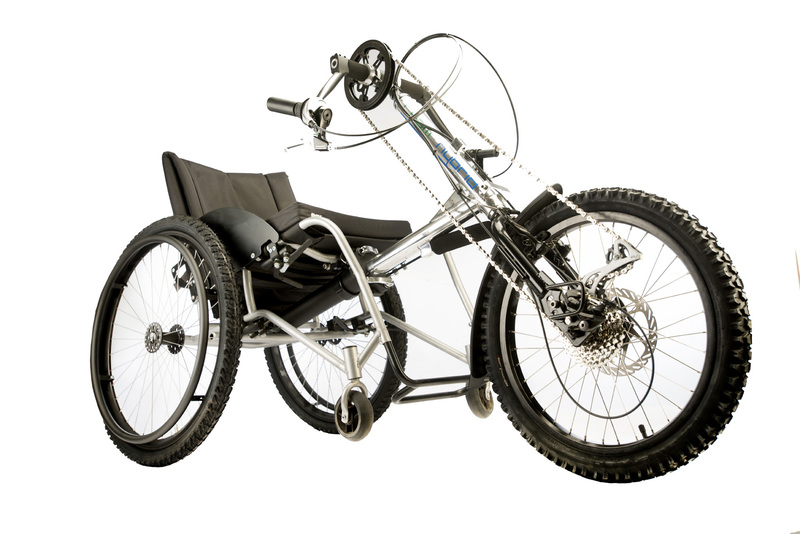 Coyote S7 Add On is a quick release wheelchair attachment designed to fit the majority of rigid frame wheelchairs and will transform your wheelchair into a brilliant sleek and sporty handcycle. 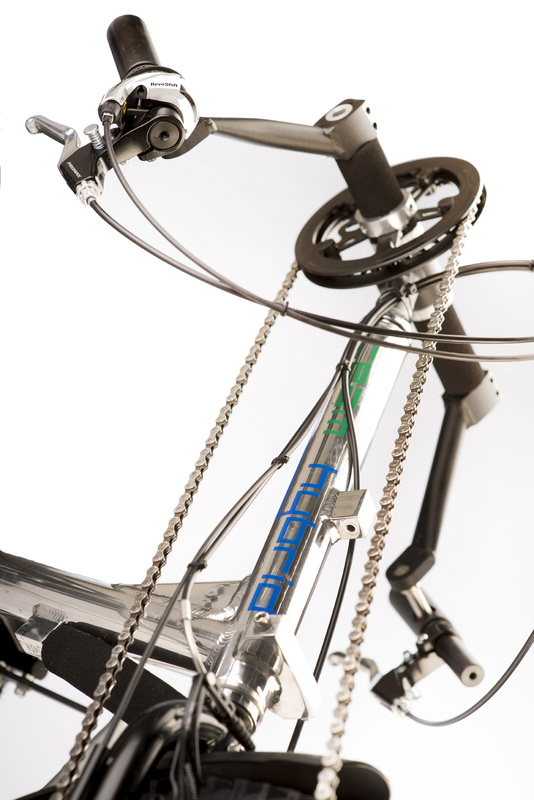 It’s not the number gears that really matters but whether the gear range fits the terrain you’ll be riding in. If most of your riding is going to be on flat terrain with occasional inclines then Coyote S7 will most definitely be suitable. Coyote S7 is perfect for those cycles around the park, flat woodland paths or even commuting to work. 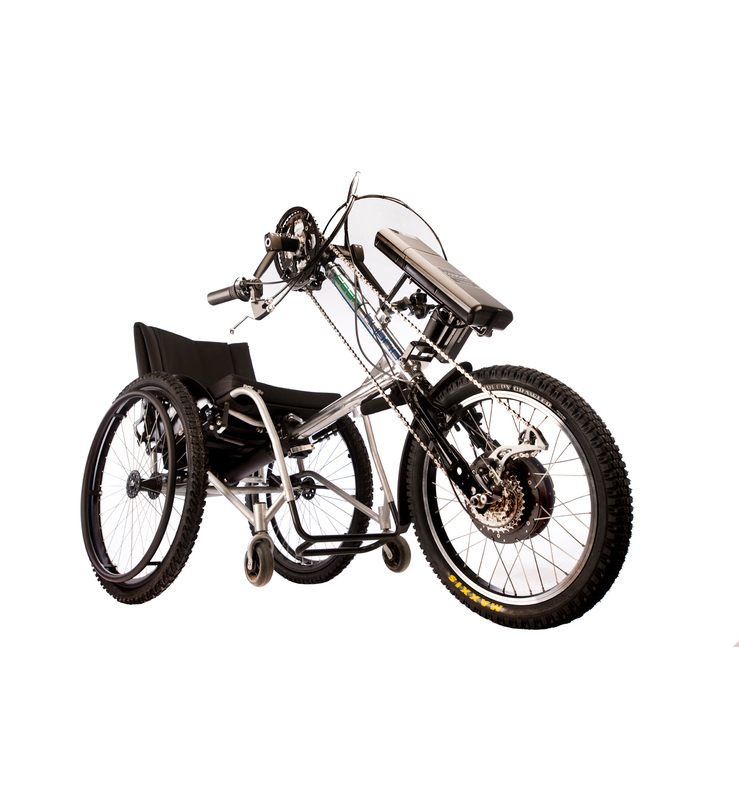 Coyote S7 Add On comes equipped with our custom-built hardware and quality components so you can rest assured that you are investing in a great quality, lightweight, maneuverable handcycle that will last for years. 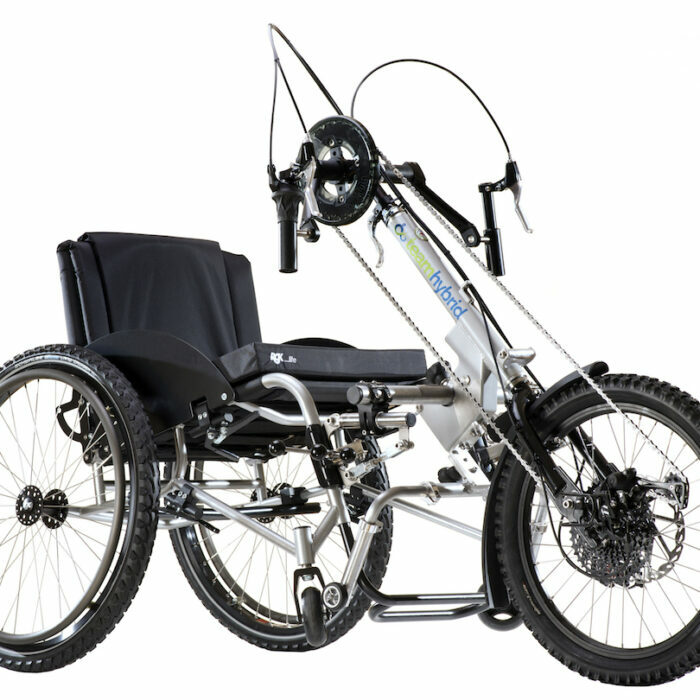 Purchasing a handcycle means that you are investing in your future health, fun and overall well-being. Handcycling can improve your physical conditioning through improved muscle strength and improved stamina, this gives you that feel good factor and a great feeling of achievement. Cycling with Coyote S7 will also improve your circulation and respiratory functions through active exercise, burn up calories for weight control and weight loss and promote relationships with friends and family. 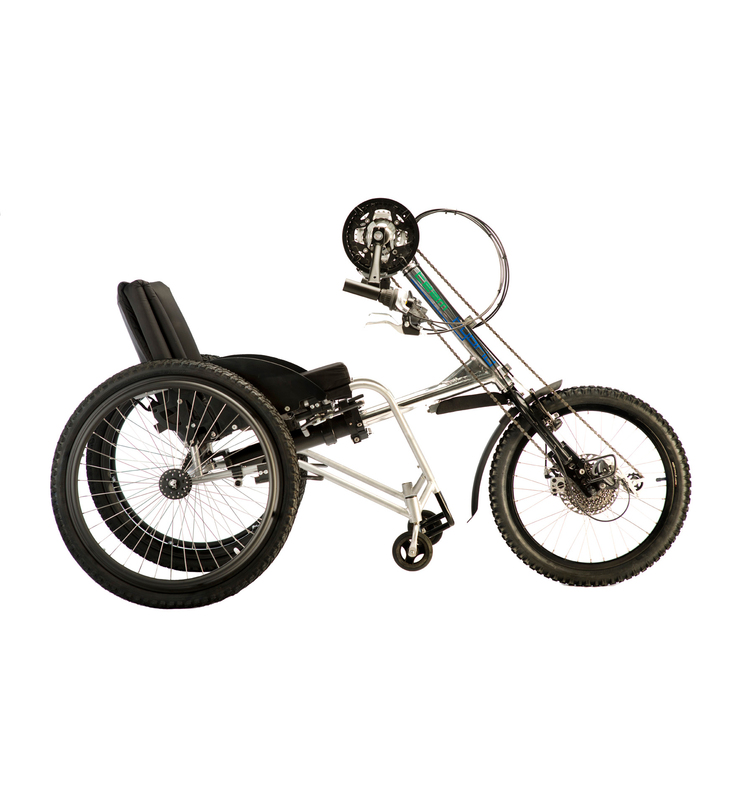 Coyote S7 Add On can be connected to most rigid wheelchairs via a docking system that is permanently mounted under the wheelchair. Once connected it takes only seconds to dock on. The rear of the docking system is bolted to either the axle or a bar going across the back of the chair. The front of the docking system is bolted to the bar underneath the seat canvas towards the front of the seat. Some chairs do not have this bar, Kuschall for example. In this case we tailor a bar to the chair, which is then bolted on using clamps or the existing holes. Our docking system has succeeded in passing vigorous fatigue trials in the USA this included being drop tested 6,667 times along with a multi drum (rolling road) test of 200,000 cycles without failure or the need for adjustment on any component. 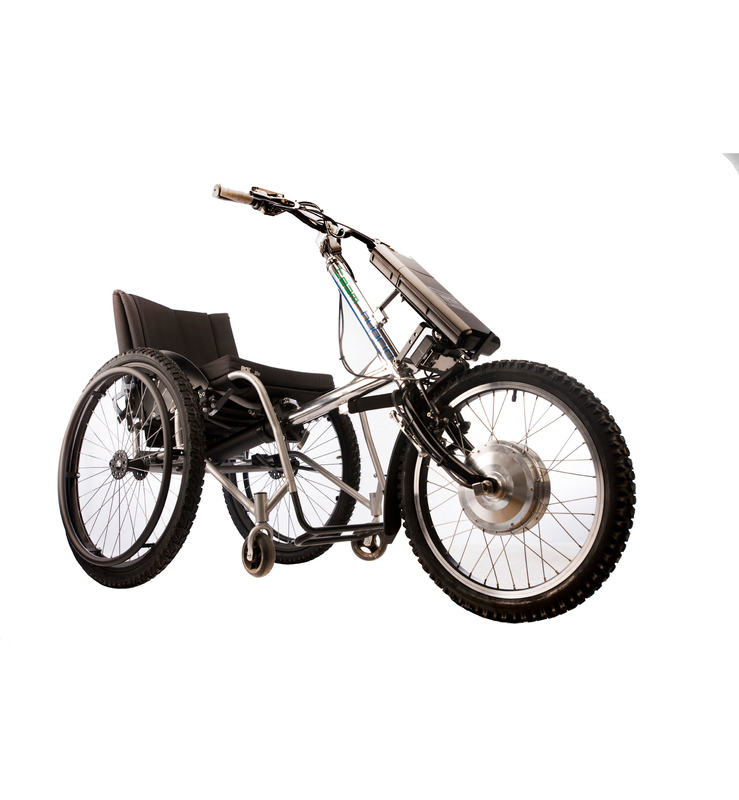 The docking system will add around 1.7 kg to the weight of the wheelchair and once fitted actually strengthens the frame of the wheelchair. Please go to the video gallery to view the docking on procedure. Please note we cannot fit our handcycles to folding wheelchairs. Team Hybrid’s policy is that of continuous product improvement. Specifications listed in this document or elsewhere are subject to change without prior notice. E&OE.